Screaming Power has teamed up with the City of Toronto to provide their Environment and Energy Division its own mobile application to help manage energy and Greenhouse Gas (GHG) emissions. This energy management initiative was made possible through Toronto’s Green Market Acceleration Program and Screaming Power’s “Scream Enterprise” Business mobile solution. The Pilot’s goals were to consult with the Division to build a prototype mobile app that helps educate and inform the City, while aiding in achieving its building and energy footprint goals. The success was in taking Screaming Power’s pre-built mobile application templates to quickly build a user-friendly solution to help the department manage, share and report energy information. This was achieved in a matter of weeks by seamlessly integrating seven different clouds to collect, display and analyze information for over 1100 locations in the GTA that are brought to life in a mobile app. The solution provides dashboards with detailed interactive maps, comparable graphs, current information and market alerts. This information, along with key building information, helps the user see what is happening and the effects it has on the building’s energy use. This real-time mobile view into information allows multiple opportunities to integrate with the “Internet of Things” (IoTs) and Energy Management Systems, as it simplifies the reuse of information. With a combined team of dedicated energy and software experts, Screaming Power’s “Scream Enterprise” infrastructure and proprietary machine-learning technology can do much more for organizations managing multiple buildings. Part of the pilot’s success was due to utilizing the Ontario Ministry of Energy, Environmental Protection Agency’s (EPA) ENERGY STAR Portfolio Manager and Ontario’s Electricity Market Operator’s common datasets. 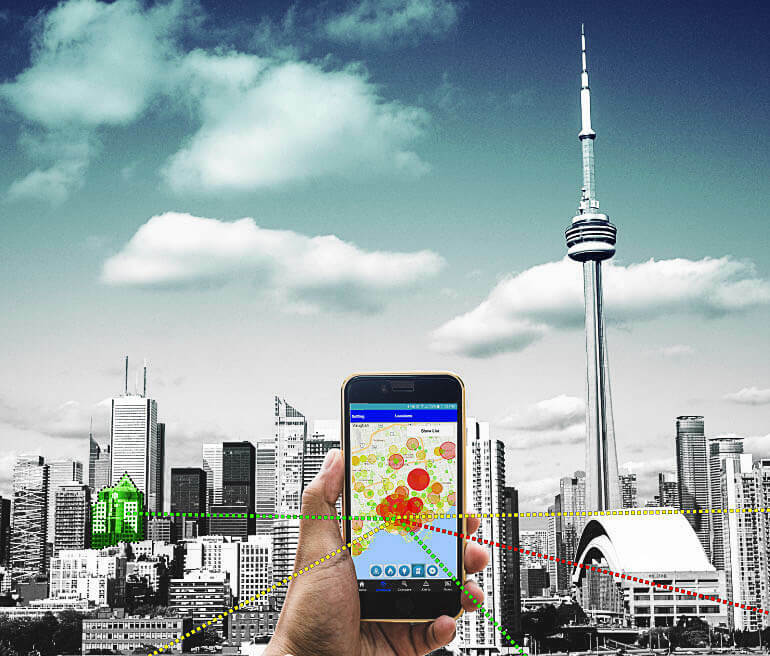 When the prototype is complete in August, the City of Toronto will have an Apple and Android solution to evaluate and Screaming Power plans to surpass their original objectives that represent over 3 years of research and development in Canada’s ever-changing energy and Greenhouse Gas management landscape. Screaming Power is now looking for more organizations, cities and municipalities that want to improve the management, reporting and socialization of their building and energy information. Screaming Power is revolutionizing customer engagement by providing a mobile platform that connects the energy user, allowing for effective and secure two-way communications to educate, change behaviour and encourage sustainability. Our extensible Intellectual Property provides a low-cost, digital infrastructure with a self-sustaining Eco-System. Our Scream Utility & Scream Enterprise mobile solutions focus on reducing ‘cost-to-service’ for while driving satisfaction and facilitating the delivery of innovation. See www.screamingpower.ca for more information.